French: Langrayen gris; German: Schwarzgesicht-Schwalbenstar; Spanish: Golondrina del Bosque de Cara Negra. 7.1-7.5 in (18-19 cm); 1.1-1.4 oz (32-40 g). 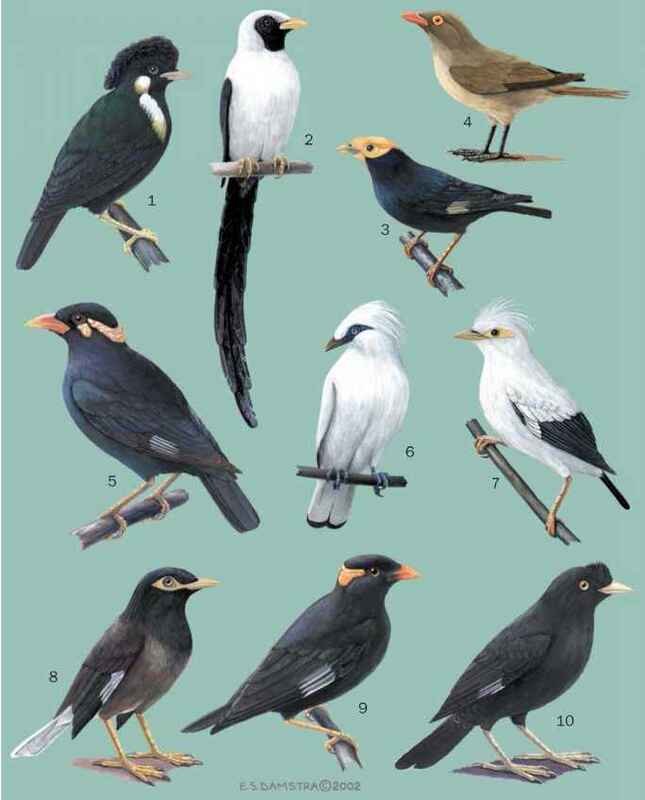 A. c. normani and A. c. dealbatus both have white undertail-coverts, the other subspecies have black. Sexes similar in plumage; gray with black face, silvery underwings, and broad white spots at tip of tail. Juvenile birds are brown and streaked. Broadly distributed across Australia. A. c. normani and A. c. deal-batus, the two white-vented subspecies, are found respectively on the Cape York Peninsula and the northeastern Queensland coastal belt. 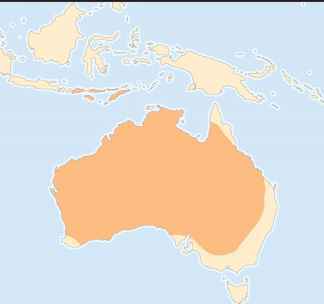 A. c. cinereus is confined to southwestern Western Australia, and A. c. melanops is also found in the Lesser Sunda Islands, including Timor. Occupy a broad range of habitats, often arid and far from water, including open eucalypt woodlands, scrub, and spinifex. Partly nomadic and an opportunistic breeder; mostly sedentary. Often roost in small flocks tightly clustered. Voice is a sweet chatter. Primarily aerial feeders, soaring and swooping after flying insect prey. They take ground invertebrates, glean vegetation, and sometimes take flower nectar. May breed at any time of year after rains when insects become abundant. Courtship displays include wing-waving and tail-rotating, displaying their white patches at the tip of their tails. Nest is a flimsy bowl of plant fibers placed in any available crevice. Clutch is three to four blotched white eggs. Incubation lasts 14-16 days, and fledging occurs 18 days later. They may have helpers at the nest.